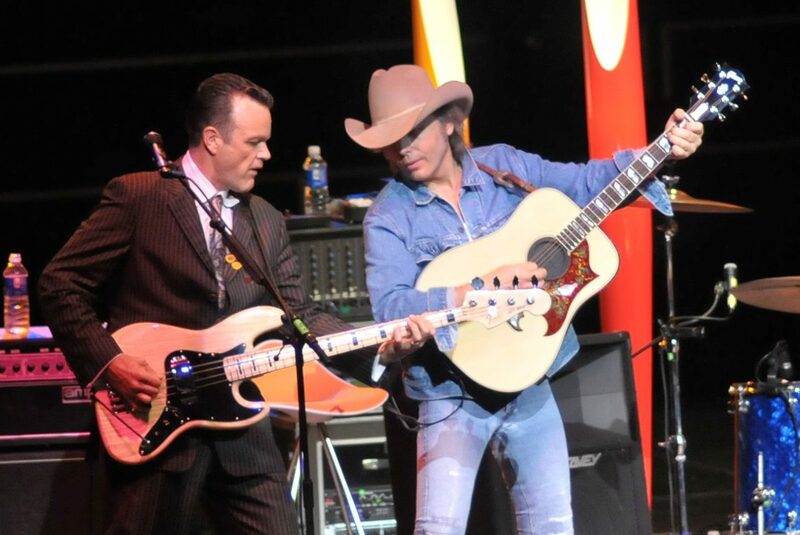 Dwight Yoakam performs for the first time at Portsmouth’s Union Bank & Trust Pavilion on Friday, Aug. 16. The Cadillac Three opens for the show at 8 p.m. Gates open at 7 p.m.
Last year on satellite SiriusXM radio, Yoakam launched a new channel: Dwight Yoakam and the Bakersfield Beat, featuring the music from Southern California that focuses on, and influences the Bakersfield sound. The Cadillac Three, originally known as The Cadillac Black, is an American Southern rock group consisting of Jaren Johnston (lead vocals, guitar), Kelby Ray (bass guitar, steel guitar, vocals), and Neil Mason (drums, vocals. The group has released three albums, charting three singles on the Hot Country Songs and Country Airplay charts. In addition to their own work, Johnston has written hit singles for Keith Urban, Tim McGraw, and Jake Owen. Tickets go on sale at 10 a.m., Friday, April 5 at the Union Bank & Trust Pavilion Box Office and all Ticketmaster locations, or purchase online at ticketmaster.com.